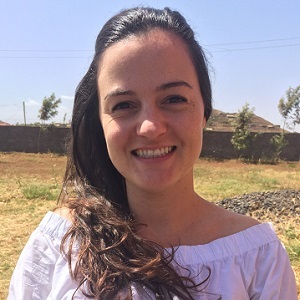 Never intending to get into academia, Brynne Gilmore is now a technical advisor supporting the No Wasted Lives research project CeaSurge in the north of Kenya. She is providing support, guidance, and oversight to the study. It was her experience in the academic environment that brought her to global health research. Brynne calls for a change in some of the systems to be more gender-sensitive: “We talk about gender sensitivity in programming but how often are we applying it to our own institutions?” When looking at women in global health, she points out the discrepancies between women and those in power within large institutions. “Female leaders are definitely lagging behind,” especially when comparing across backgrounds as “women from less resourced contexts make up such a big proportion of people working in health worldwide but hold such a small proportion of leadership roles,” Brynne adds. She hopes that the system doesn’t only work towards equality – that women are represented - but also making sure that there are structures in place to be gender-sensitive and woman-friendly, whether that be promotions that take maternity leave into account or grants that provide more flexibility to respond to the needs of caregivers. She hopes all levels of global health work for inclusivity and intersectionality, where leadership reflects the diverse make-up of the global health field.